We’re expecting!!! Thanks #TTCKit Thinking back to that moment-your positive pregnancy test-that rush of excitement… Did your pregnancy feel real right then? How many tests did you take after you got a positive? This will be my 2nd pregnancy so I’m feeling excited but scared. But on Sunday we finally got our BFP absolutely delighted… My daughter seems super excited too. Thanks TTC Kit for helping us get pregnant. The first double line! I found out I was pregnant at 6 weeks! Couldn’t wait for my 12 week scan so I paid and had my early 8 week scan! Seeing my little jellybean for the first time was so exciting! One of our greatest joys in life is our children. We are super excited to announce that we will be adding another child to our family this fall. We were able to conceive quickly and the tests worked well too. I could tweet about the @TTCKIT all day. Worked for me the first month I started taking them!! Wow! So happy!!! how long did it take you to get pregnant after you started the TTC Kit pills? I just started it 3 weeks ago. Most of the reviews I have seen are 2 months tops! Thank you and congratulations on getting pregnant! I was just starting on my second bottle from the TTC Kit and was late. 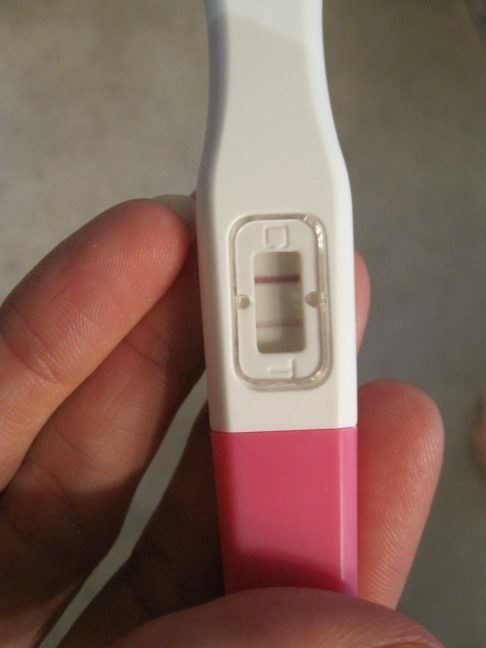 So I decided to test and….I’m pregnant!! :-O I have a doctors appointment next Tuesday so pretty excited. I just found out yesterday so I think I am 4 weeks pregnant. Well it’s been 4 weeks since my last period so still very early days. 37 weeks along as I write this. Waiting for the arrival of our twins, thanks to this kit. I don't know if that's what gave us twins or not, but we're so excited. Any time now! We took the TTC Kit supplements for 3 months and then pregnant, with twins. Good luck! After 4 months of using the Ttckit (2 boxes) we were pregnant. 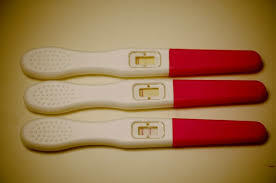 When I got my positive at 13dpo, it was really dark so I wondered it it was twins. I had really bad morning sickness, so we still wondered twins. Went to the dr for my first ultrasound, so excited to see the heartbeat and then the dr found another heartbeat. My husband and I about fell on the floor in shock. So this stuff def works! I'm one who rarely writes reviews but always read reviews before buying. I was curious about the TTC Kit after having troubles ttc #2. Seeing so manye positive reviews I figured it wouldn't hurt to try. Well with the help of their opks to help me track my O day I took the pills faithfully for 5 weeks straight. On 11dpo I got my very first faint line. I couldn't believe it, today I'm 6 weeks in. I got this kit as I tried ttc for 9 months without success (I am currently 33 yrs old). My gyno wanted to put me on Clomid, but I said no. I want to do this all naturally. After 2 months of using the TTCkit opks and pills, I tested positive! I was estatic! I am now 8 weeks pregnant. perfect ! u dont need to pay more at big stores. buy the pills, get all the tests u ever need for free. 5 for the ovulation tests and the pills... still waiting to rate the pregnancy tests;). Ok Sooo I instantly Start taking the pills when I got them ! Because I just had got off my mentrustal cycle. Been tracking my ovulation test every day and finally today there was two lines., so Hopefully the Pregnancy tests also have two lines ? Not sure how fast and easy it is but if Iâ€™m pregnant next week ,I will be very surprised and happy ? and Satisfied with this product ! This kit worked perfectly. For the first three months that I tracked ovulation, I just got pale lines. I was a little disappointed, but didn't stop tracking and kept taking the pills faithfully. Three months after stopping birth control pills, finally I received two solid lines of LH surge. So the body needs time to ovulate and regulate hormone levels after stopping bc pills... and now i'm happy to say we just got our positive pregnancy test!!*!*!**! 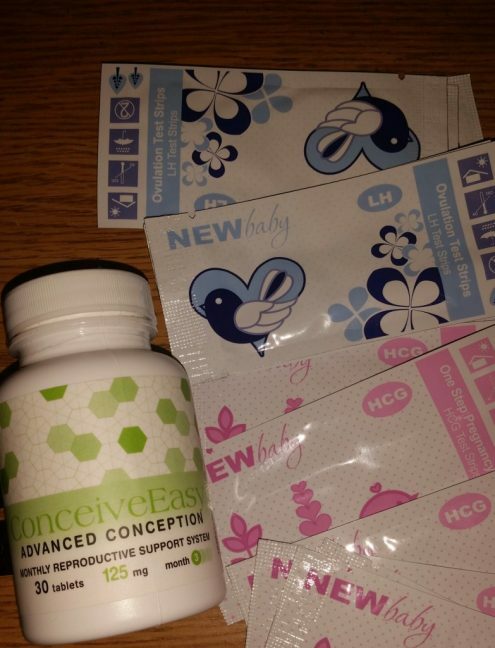 I read all the reviews of people saying they got pregnant using this Kit and I was skeptical. But the 2nd month we used this (after trying for almost 2 years), I got pregnant. We've already said if or when we try for another baby, we'd buy this kit again. 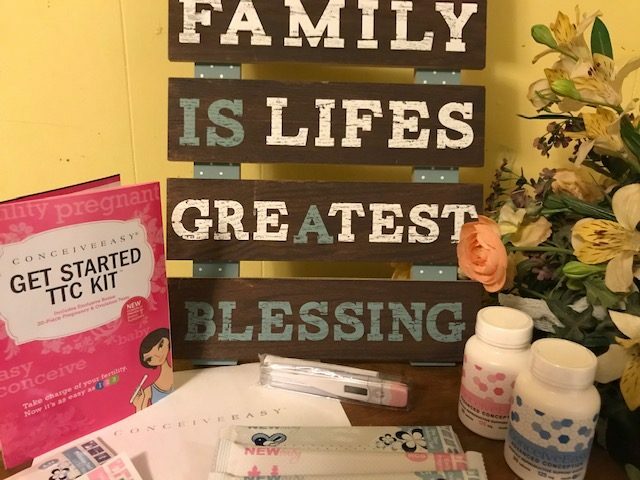 I would recommend getting 20 ovulation predictor kits (what we did) so you're aware when you ovulate for the best chance. WE GOT PREGNANT AFTER ONLY 2 CYCLES USING THIS KIT! SUPER EASY TO USE AND COST EFFECTIVE! AND IT WORKS! I recently ordered their TTC Kit, they sent me the wrong bonus gifts (I wanted 10 ovulation & 10 pregnancy - they sent me 20 pregnancy), well why am I giving them 5 stars? They were super accommodating and sent me the correct replacements in just a day! They have super friendly customer service - Joanna was awesome! What a great buy! I've been trying everything. Tried some different fertility pills before this that totally didn't work and purchased the fancy battery operated OPK at Rite aid for $40. I just had a miscarriage and wanted to know when I will be ovulating again. 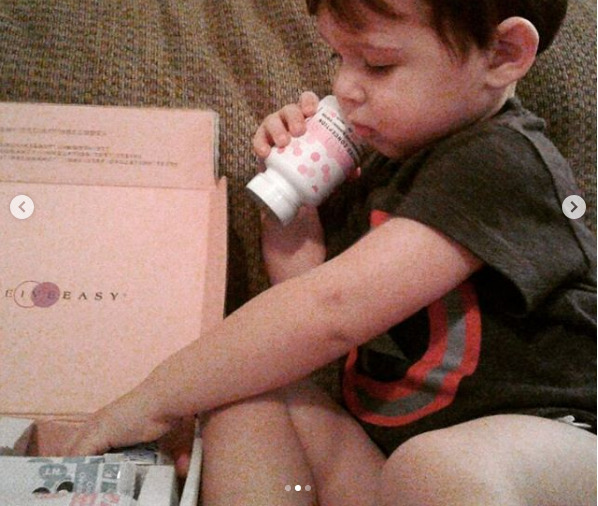 This kit is great becuz you get everything in one box, and the reviews are so positive for the pills working. I GOT PREGNANT IN LESS THAN 2 MONTHS. NO KIDDING. LOVE YOU GUYS. BABY DUST TO ALL! Just got it. Lets see if it works. I have read all of the awesome reviews of people getting pregnant. I have tried for nearly 2 years n im hoping this really works. Fingers crossed yall. Prayers yall. Im glad i got recommend this. started these pills and after just 3 months of taking them, i couldn't believe they actually work! i was skeptical at first but figured it couldn't hurt as it was a free trial. i've got pcos and my cycles always off since getting off the pill. i wanted something natural and found my magic in a bottle. i highly recommend to other women that may have similar issues. The TTC KIT is amazing! Last month was my first month using it and I'm pregnant so it definitely works! Naturally pregnant at age 45!! Tried this product and it worked! This stuff is legit. Two weeks into taking it we found out we were pregnant. Am now in my second trimester! My husband and I had been trying to conceive for about 18 months with no luck. I started taking it shortly before AF was due. Took it for 2 months, and when my next period was due... instead I'm PREGNANT!!!! I have been tracking my cycles and ovulation for the past 18 months so the only thing I can think of is this did it for us. Good luck and baby dust to all! this stuff actually works! my husband and I been trying to conceive for a year and a half and we had nothing wrong with us according to the doctor but we weren't getting pregnant. saw this on facebook and as soon as we started using this we are expecting! I'm now 6 weeks pregnant now! try this I recommend it!! I'm 25 and have be trying to conceive for a year and a half after 2 awful miscarriages. I have irregular periods and I haven't had one in 7 months. I have been taking these vitamins for only 3 WEEKS and got my period - normal length and normal flow. This product has done what my doctor couldn't figure out and has given me hope in having children again! If you are thinknig about this product then STOP thinking and BUY IT NOW because it really works! im writing this review after one year of using this supplement. we were having hard time after our first child, been trying for going on 3 years. but after starting this supplement within few weeks it worked. i recommend this supplement/miracle to all those couples who got pregnant once and then having issues getting pregnant with another baby. I can't speak for other situations but the cases like us may get blessed. I have been using this product consistently and with regular use, my cycles became more regular and I finally ovulated this month! YIPPEE! We are hoping of course that a conception took place and will be a 9 month journey to look forward to. Hoping! !